2. Upcoming Introduction Meetings: Shelf Reliance has introductory/training meetings around the country. If there is a meeting close to you I highly encourage you to go. They are a great way to get a lot of training as a consultant. The first hour is a opportunity presentation, this is a great meeting to have anyone who is thinking about becoming a consultant come to. Invite everyone you know if it is close to you. All meetings will take place from 6pm-9pm. 3. Hold times are improving: I know that the customer service hold times have been well horrendous for the past few weeks. I just wanted to let you all know that they are getting better. Today when I called I was on hold for about 3 minutes. I was so excited. I hope that you are having good luck getting concerns worked out. 4. I’m home. I have been on vacation for the past week. It was fantastic. We went to Texas, to visit family and go to the beach. While I was at the beach I latter heard that it was snowing at my house. It was a great trip. Thanks to Sariah for answering questions, and everyone else for being patient, while I was gone. This is designed to get new consultants off to a great start. You might want to look through it too and see if there is anything you need to do that you might have skipped. · Make a Mix: Salsa Mix—I Love this one. Salsa from THRIVE Ingredients. One of the most precious things you can get as a consultant is leads. How do you get leads? From Corporate SR each month you hit the rank of mentor. What do you do with leads? 1. Contact them within 48 hours. 3. Ask if you can answer any questions: This is the trickies one for me. Sometime I say too much I “throw up” information on them. This is now what you should do. Answer the question succinctly but don’t tell them everything you ever heard about it. 4. Ask them to take the next step. That might be to host a party, place an order, or become a consultant. 5. They did not take the next step. What now? Follow up. Send an e-mail, call them on the phone, send them a catalogue in the mail. Do something to keep in touch with them. I have a couple of people who are thinking about becoming a consultant but have not done so yet. Here is the e-mail I am sending them this week. I do customize the intro based on the previous interactions I have had with the person. Thanks for your interest in becoming a Shelf Reliance Consultant. I wanted to make sure you had all of your questions answered. I have included a few of the most common questions I hear about Shelf Reliance and I would be happy to answer any other questions you might have. Do consultants I get a discount? Yes, as a consultant, you are eligible for host benefits, party supply benefits. Consultants get the host benefits for any order they take that is not made at a party. Which is amazing!!! Host Benefits are 10% of the party order in Free product and there are 2 ways to get product for 50% off. This is my most favorite benefit. 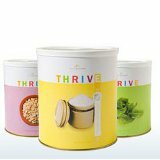 I originally signed up as a consultant in order to get my food storage at a discount. I had no idea how much food I would be able to get for free or half off. 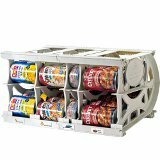 If you are serious about food storage this is a great benefit. Consultants also get supplies for you party (or your home) at a supper discounted rate through the Party Supply Benefit! Do Shelf Reliance consultants make money? Yes, they do. Shelf Reliance consultants are independent and can work as little or as much as they want. Whatever fits their life and desire. What a consultant makes is directly tied to how much work they are willing to do. This is a real business that takes real work. But when a consultant works hard the possible income is limitless. Shelf Reliance is a multi-level marketing company. The levels are consultant, mentor, director, executive, silver executive, gold executive, and platinum executive. The following information is based off of the February 2011 company numbers. As the company grows these numbers will go up. The average party is around $900.00 so if a consultant has 4 average parties they are at the mentor level. As a Consultant the average commission is $60 a month. This would pay for your Q which in essence mean you are getting your food storage for "free". Or at least the cost of your time to do about one party a month. This is good in that you are not subtracting from the household budget while accumulating your food storage. As a Mentor the average check is $400. This is significantly more than $60 and the sooner you can hit this rank the better because you also receive corporate leads when you hit mentor. An extra $400 coming in can make the difference a lot of us are looking for. As a Director the average check is $800. As an Executive Director the average commission check is $1000. This is nearly a house payment a car payment and groceries. This is the extra fun stuff you want but don't want to purchase with your spouse's hard earned money. As a Gold Executive the average commission in a month is $3000, here you are replacining income. As a Platinum Executive the average commission in one month is $6000! And this number will only get bigger as your team grows. Shelf Reliance has been selling via direct sales for a little over a year now and there are consultants that have reached the Platinum level, but we are still growing. This is a great time to join the Shelf Reliance Team. When you are ready to become a consultant what do you need to do? 2. Define why you are going to be a consultant. 1. Follow up on a lead. Do it right now. Just pick up the phone and call that person you have been thinking about. E-mail that person who was interested but then never signed up. How much time do Shelf Relaince Consultants work?